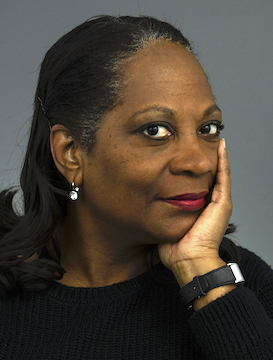 INDIANAPOLIS –The Society of Professional Journalists today announced that veteran journalist and association leader Alison Bethel McKenzie will become its 20th executive director. "Alison is a game changer for SPJ," said SPJ National President Rebecca Baker. "Her track record of successes, both as a working journalist and a tireless advocate for press rights and the practice of journalism, will help SPJ combat the forces that seek to diminish or destroy the role of the free press as a cornerstone of democracy in this country. SPJ and its members are fortunate to have Alison as our executive director, and I look forward to working with her." Bethel McKenzie succeeds Joe Skeel, who took the executive director position with the Indiana State Bar Association in December. A native of Miami, Bethel McKenzie served for five years as executive director of the International Press Institute, the world’s oldest global press freedom organization, in Vienna. She was the first American, first woman and first African-American to hold the position since it was founded in 1950. In addition, she has worked as a visiting professor of print and investigative journalism at the Indian Institute of Journalism and New Media in Bangalore, India. "I am beyond excited to join an organization that I have held in high esteem since I first learned of it as a high school rookie reporter at The Miami Herald," Bethel McKenzie said. "The work that SPJ has done in supporting both student and professional journalists, as well as its diligent fight for press freedom in the United States and abroad, is crucial – now more than ever. "I look forward to sharing my experience with and passion for press freedom and best journalistic practices to help elevate SPJ’s work, including increasing the diversity among its membership," she continued. Bethel McKenzie was a Knight International Journalism Fellow in Ghana in 2008-09, managing director of the Nassau Guardian in the Bahamas in 2007 and executive editor of the Legal Times in Washington, D.C., in 2006-07. She has also worked at The Los Angeles Times and The Miami Herald. Earlier in her career, Bethel McKenzie worked as a reporter and editor at several newspapers in Louisiana, New York and Michigan. She was deputy business editor and senior assistant city editor at The Boston Globe and served as Washington Bureau Chief for The Detroit News. In 2010, she was named one of the 60 Most Influential Black Women in Europe by Black Women in Europe. She is also on the Advisory Board of the Center for International Media Ethics, and is founder of the Media Institute of the Caribbean. She previously served on the board of the now-defunct Al Jazeera America. Bethel McKenzie is a graduate of Howard University, with a degree in journalism. She studied non-profit leadership at Harvard Kennedy School of Executive Education and is nearing completion of an MBA in media leadership at the University of Cumbria (U.K.) in collaboration with the Robert F. Kennedy College (Switzerland). "Alison is the real deal," said Robert Leger, president of the Sigma Delta Chi Foundation, SPJ’s supporting foundation. "She’s been in the trenches with high-profile reporting positions, and she’s run a well-respected international journalism association. But what really impresses me is her passion for journalism and the First Amendment. She’s going to do great things." Bethel McKenzie’s start date is March 19. She is the second woman executive director for SPJ. Vivian E. Vahlberg was the first, serving from 1987 to 1990. The top leadership positions in SPJ are all currently held by women: president, president-elect, immediate past president, secretary-treasurer, associate executive director and now, executive director. "Alison has spent the last decade emulating SPJ's work abroad: advocating for journalists' rights and training them in best practices," said Irwin Gratz, vice president of the SDX Foundation board and chair of the search committee. "We're thrilled she's coming back to the U.S. to work with us at a time when journalists here face their greatest challenge in generations." The Sigma Delta Chi Foundation is a public foundation dedicated to ensuring that those who carry on the tradition of a free press are prepared for the challenge. The SDX Foundation supports educational and professional needs of journalists and journalism students. Support excellent journalism and fight for your right to know. Give to the Sigma Delta Chi Foundation.